We are constantly adding products to this catalog. We certainly have many more products available, and hope to have many of them presented here. 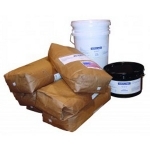 To get more information about the products we carry, feel free to call us or stop in anytime. Thanks for your patience and we hope to hear from you soon. For Fast Set and Cold Temperature repairs. Excellent resistance to acids and by-products. Easily cleaned. Available in Gray and Tile Red. Standard Kit Coverage: 40 ft 2 per unit at 1/4” thick. DURALINE® offers a superior corrosion-resistant, self leveling, epoxy monolithic floor protection system for concrete industrial and commercial floor applications, the system works with DP501 Primer and D200 Expansion joint material to provide a high quality surface. 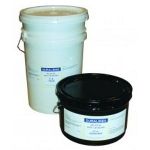 Resistant to a wide range of acids, alkalies and some solvents. Recommended for the Power Industry, Food and Beverage and Chemical Processing. 100% solids. For Extreme Special Abrasion and Corrosion duty, DURALINE® also offers a Premier Severe Duty EPOXY POLYMER FLOOR CONCRETE named HD-200-IF. This material is extremely abrasion and corrosion resistant and is aimed at the most challenging applications. Resistant to a wide range of oil, solvents and acids through a range of zero to 14 PH. Max service temperature of 150°F. Low porosity. Quick Cure & Strength Additive for those applications where “cure time is critical,” duraline® offers a mix additive that dramatically speeds up cure time and adds significant strength. If you are looking for a Heavy Duty Industrial Floor, HD-100 IF is the right material for the job. Not just a floor topping or coating, the wear resistance goes all the way through the floor structure. Non shrinking, temperature resistant, dimensionally stable and high early strength. High Temperature Tile Adhesive. 2 one gallon cans, 21-lb kit. Fast Setting Tile Adhesive. 2 one gallon cans, 21-lb kit. Tile Adhesive. 2 one gallon cans, 21-lb kit. 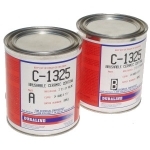 Duraclad ECS C-1325 Brushable. 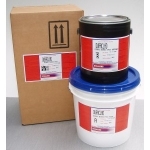 Ideal for thin coat – close tolerance applications. Available in colors for contrasting two coat wear monitoring. 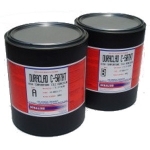 Duraclad ECS C-500 is a high temperature ultra high performance silicon carbide and small ceramic beaded 100% solids epoxy coating/lining system. Ultra high performance abrasion and chemical resistance. Maximum service temperature 400°F. Duraclad ECS C-400 is an ultra high performance silicon carbide and small ceramic beaded 100% solids epoxy coating/lining system. Ultra high performance abrasion and chemical resistance. Maximum service temp. 250°F. Duraclad ESC C-301-FS is a specifically formulated epoxy system blended with high fired ceramic beads and accelerated resins to provide a fast setting compound for immediate protection of surfaces subjected to abrasion and corrosion. Easy to mix with 1 to 1 by volume ratio and will cure in little as 15 minutes. Ideal for emergency repairs and will minimize downtime of critical equipment and process lines. 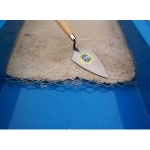 Waterproof and resistant to most chemicals and solvents. It is also non-sagging for repair of vertical surfaces and overhead patching. 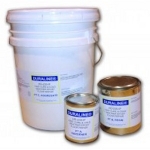 Duraclad ECS C-300 is a high performance ceramic beaded 100% solids epoxy coating/lining system. An engineered composite of resins and a network of specifically sized ceramic beads. Superior abrasion and corrosion resistance. Maximum service temp. 250°F. Z-100 has 45 years proven success as a tough an durable heavy duty sump, bed pan, chute and hopper lining in the coal, mineral, and utility industries. Z-100 is gunable for silo application. Many new equipment manufacturers choose Duraline® Z-100 as their primary O.E.M. lining material.